The most common reason given for owning a dog is companionship. This in itself is open to many interpretations, but recent studies have begun to tease out its most important facets. Most owners see their pet dog first and foremost as a member of the family. Researchers at the University of Pennsylvania have found that ninety-eight per cent of dog and cat owners talked to their pet every day, and that more than eighty per cent talked to them as they would to a person; twenty-eight per cent confided in their pets, or talked to them about events of the day. Dogs are obviously not humans, but one possible explanation for this apparently irrational behavior could be our ambiguous posture towards them. In many respects dogs are better than people - they are reliable in their behavior and their love, and their soft coat is pleasant to stroke and touch. We can confide in them when worried and know that they will hold their silence. However, we can also cease to treat them as human beings at will and describe them as curs or in other derogatory terms. For the most part, the human view of dogs prevails, and it is interesting to consider some recent findings of a survey of American dog owners. 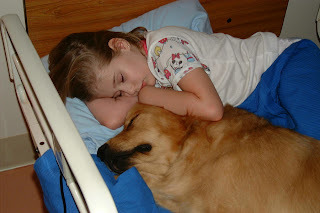 In more than half of the cases, the dog slept at least sometimes on the bed of a family member, and nearly all owners had a photograph of their dog, usually in a pose which indicated a close relationship, with the owner touching the animal and with the heads of the two close together, as in a parent and child relationship.